We meet in District Convention at Wodonga in just over two week’s time, and I look forward to being with those who attend in the presence of our Lord and his holy word and sacrament. The District Report Book has been sent out and I encourage you to read it and give response to your delegates to bring to convention. But another matter presses me to write – the 11 September passing by the Victorian Legislative Assembly of a Bill to legalise abortion. This now goes to the Upper House, and if passed there may become law very quickly. Essentially the legislation provides for abortion-on-demand for up to 24 weeks gestation, and for beyond 24 weeks up to birth as long as two doctors believe it is appropriate. What’s more, the legislation requires doctors and nurses who conscientiously object to abortion to refer a woman requesting an abortion to medical practitioners who don’t have such an objection, and to perform an abortion in an emergency where it is thought this is necessary to preserve the life of the woman. There are other deficiencies in the proposed law, but clearly it would put some people in an intolerable position in relation to their work as health care professionals. Archbishop Denis Hart has said it may force Roman Catholic hospitals out of maternity and emergency services, and that the Bill is ‘an unprecedented attack on the freedom to hold and exercise fundamental religions beliefs.’ I agree and have put my name to a letter to parliamentarians expressing this some weeks ago. Now there is even more urgent need for prayer and for concerns to be expressed to Members of the Legislative Council. Details can be found in the attached letter by the archbishop. In writing this, I remind you, as Denis Hart does, that the church does not condemn women who have abortions, but rather encourages them to find hope, forgiveness and healing in the grace of God in Christ, along with all who are involved in the situation. It is the perverse ‘culture of death’ which leads to abortion being seen as somehow normal and a ‘right’, and legalising abortion will only advance that belief rather than teach the truth. In all this the church continues to plead for God’s mercy, and holds out the gospel of Christ as God’s gift of life to the world. I thank God that our Lutheran brothers and sisters and their President stand fully committed to the fight against this pernicious bill with the Catholic people of Victoria and Tasmania and their Metropolitan Archbishop. I also understand that Pastor Pietsch has accepted an invitation to join us at St Patrick’s Cathedral for the Day of Intercession on October 5 at 12:15pm and that he is encouraging his people to come also. Let us pray that other Christian community leaders and their people may have the same courage to stand with us in prayer before the Lord for the defeat of the Bill. If you read nothing else from Benedict XVI this week, do take the time to read this. It is something very special, addressed to a gathering of “representatives from the world of culture” (only the French could think up something like that) at the Collège des Bernardins in Paris about a fortnight ago (12 September 2008). I would like to speak with you this evening of the origins of western theology and the roots of European culture. A modest (!) aim? And even more interesting, can we assume that his audience would be interested in such a reflection? 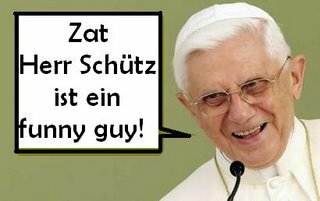 Whether they were or whether they were not, what they got was a speech which was, I think, on the same level as the Regensburg Address in terms of Benedict’s “big picture” vision. Some significant snippets to whet your appetite. First and foremost, it must be frankly admitted straight away that it was not their intention to create a culture nor even to preserve a culture from the past. Their motivation was much more basic. Their goal was: quaerere Deum. …Our present situation differs in many respects from the one that Paul encountered in Athens, yet despite the difference, the two situations also have much in common. Our cities are no longer filled with altars and with images of multiple deities. God has truly become for many the great unknown. But just as in the past, when behind the many images of God the question concerning the unknown God was hidden and present, so too the present absence of God is silently besieged by the question concerning him. Quaerere Deum – to seek God and to let oneself be found by him, that is today no less necessary than in former times. A purely positivistic culture which tried to drive the question concerning God into the subjective realm, as being unscientific, would be the capitulation of reason, the renunciation of its highest possibilities, and hence a disaster for humanity, with very grave consequences. What gave Europe’s culture its foundation – the search for God and the readiness to listen to him – remains today the basis of any genuine culture. For prayer that issues from the word of God, speech is not enough: music is required. Two chants from the Christian liturgy come from biblical texts in which they are placed on the lips of angels: the Gloria, which is sung by the angels at the birth of Jesus, and the Sanctus, which according to Isaiah 6 is the cry of the seraphim who stand directly before God. Christian worship is therefore an invitation to sing with the angels, and thus to lead the word to its highest destination. …For [St.] Benedict, the words of the Psalm: coram angelis psallam Tibi, Domine – in the presence of the angels, I will sing your praise (cf. 138:1) – are the decisive rule governing the prayer and chant of the monks. What this expresses is the awareness that in communal prayer one is singing in the presence of the entire heavenly court, and is thereby measured according to the very highest standards: that one is praying and singing in such a way as to harmonize with the music of the noble spirits who were considered the originators of the harmony of the cosmos, the music of the spheres. From this perspective one can understand the seriousness of a remark by Saint Bernard of Clairvaux, who used an expression from the Platonic tradition handed down by Augustine, to pass judgement on the poor singing of monks, which for him was evidently very far from being a mishap of only minor importance. He describes the confusion resulting from a poorly executed chant as a falling into the “zone of dissimilarity” – the regio dissimilitudinis. Augustine had borrowed this phrase from Platonic philosophy, in order to designate his condition prior to conversion (cf. Confessions, VII, 10.16): man, who is created in God’s likeness, falls in his godforsakenness into the “zone of dissimilarity” – into a remoteness from God, in which he no longer reflects him, and so has become dissimilar not only to God, but to himself, to what being human truly is. Bernard is certainly putting it strongly when he uses this phrase, which indicates man’s falling away from himself, to describe bad singing by monks. But it shows how seriously he viewed the matter. It shows that the culture of singing is also the culture of being, and that the monks have to pray and sing in a manner commensurate with the grandeur of the word handed down to them, with its claim on true beauty. This intrinsic requirement of speaking with God and singing of him with words he himself has given, is what gave rise to the great tradition of Western music. It was not a form of private “creativity”, in which the individual leaves a memorial to himself and makes self-representation his essential criterion. Rather it is about vigilantly recognizing with the “ears of the heart” the inner laws of the music of creation, the archetypes of music that the Creator built into his world and into men, and thus discovering music that is worthy of God, and at the same time truly worthy of man, music whose worthiness resounds in purity. The Bible, considered from a purely historical and literary perspective, is not simply a book, but a collection of literary texts which were redacted over the course of more than a thousand years, and in which the inner unity of the individual books is not immediately apparent. On the contrary, there are visible tensions between them. This is already the case within the Bible of Israel, which we Christians call the Old Testament. It is only rectified when we as Christians link the New Testament writings as, so to speak, a hermeneutical key with the Bible of Israel, and so understand the latter as the journey towards Christ. With good reason, the New Testament generally designates the Bible not as “the Scripture” but as “the Scriptures”, which, when taken together, are naturally then regarded as the one word of God to us. But the use of this plural makes it quite clear that the word of God only comes to us through the human word and through human words, that God only speaks to us through the humanity of human agents, through their words and their history. This means again that the divine element in the word and in the words is not self-evident. To say this in a modern way: the unity of the biblical books and the divine character of their words cannot be grasped by purely historical methods. The historical element is seen in the multiplicity and the humanity. From this perspective one can understand the formulation of a medieval couplet that at first sight appears rather disconcerting: littera gesta docet – quid credas allegoria … (cf. Augustine of Dacia, Rotulus pugillaris, I). The letter indicates the facts; what you have to believe is indicated by allegory, that is to say, by Christological and pneumatological exegesis. We may put it even more simply: Scripture requires exegesis, and it requires the context of the community in which it came to birth and in which it is lived. This is where its unity is to be found, and here too its unifying meaning is opened up. To put it yet another way: there are dimensions of meaning in the word and in words which only come to light within the living community of this history-generating word. Through the growing realization of the different layers of meaning, the word is not devalued, but in fact appears in its full grandeur and dignity. Therefore the Catechism of the Catholic Church can rightly say that Christianity does not simply represent a religion of the book in the classical sense (cf. par. 108). It perceives in the words the Word, the Logos itself, which spreads its mystery through this multiplicity and the reality of a human history. This particular structure of the Bible issues a constantly new challenge to every generation. It excludes by its nature everything that today is known as fundamentalism. In effect, the word of God can never simply be equated with the letter of the text. To attain to it involves a transcending and a process of understanding, led by the inner movement of the whole and hence it also has to become a process of living. Only within the dynamic unity of the whole are the many books one book. The Word of God and his action in the world are revealed only in the word and history of human beings. Well. If you have read this far, why not go and read all of it. Really, The Age needs to be more careful about the quality of its journalism. I wish journalists could learn just report the story, without the need to put their own bias and spin on it. Today’s second main front page story was about the defeat of the Rudd Government’s bill in the Senate which was designed to alter the previous government’s arrangements whereby singles earning over $50k and couples earning over $75k per annum would be required to pay an extra 1% income tax to the Medicare Levy IF they did not have private health insurance. [For foreigners, our Medicare system is a sort of public health insurance system – costs a lot for the Government and is usually 2% of our income tax, but looks after those who can’t afford private health cover.] On top of this, the previous government put a system in place whereby the government subsidises 1/3 of all private health cover costs via a income tax rebate to private health cover holders. The bill proposed by the Labor Government aimed at upping the threshold for the extra 1% to $75k for singles and double that for couples. 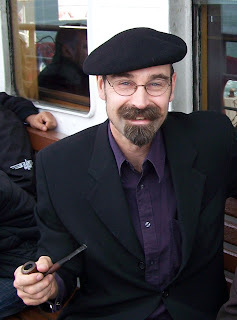 So it is little wonder that Senator Steve Fielding of the Family First Party (pictured, courtesy of news.com.au) voted against the bill – as did the entire opposition. Since the other independants supported the government bill, he held the balance of power, and thus effectively it was his vote that defeated the bill. For the record, I voted for Steve. I like him. I had lunch with him after he was elected and had the chance to grill him on a few issues. He’s principled and sticks to his guns. He looks closely at all legislation and votes for those whom he said he would represent: ordinary Australian families. Despite desperate last-minute changes to the proposed legislation by Health Minister Nicola Roxon on Tuesday, altering the new threshold for singles from $100,000 to $75,000, the bill now faces an uncertain future and will have to undergo radical changes if it is to avoid being dumped. …The Government says the average family [The “average family”? On $150k a year? Hardly. I regard our family as “average” on half that. If I had $150k a year, I would certainly feel myself to be “above average”]could save $1500 a year from the change and expected almost half a million Australians to drop their private health insurance [The “saving” would only come if they dumped their health insurance – and the poorer end of the market would have to pick up the tab.]. Further debate on the bill was supported by fellow balance-of-power holders the Greens and independent Nick Xenophon but Senator Fielding chose to kill it [MURDERER! (we “kill bills” and “terminate pregnancies”)]at his first opportunity. Senator Fielding – who is lobbying for changes to the bill that would see lower-income earners compensated for rising premiums through a higher private health insurance rebate – said the Government ignored his desires by bringing on the vote for the bill too quickly. Altering the bill further is likely to be complicated, with the Government unlikely to agree to the changes proposed by Senator Fielding. They’re trying to paint Steve as a madman, a religious fundamentalist (which he possibly is) and an anti-democratic “Bill Killer”. But Family First will get my vote again at the next election. Matthias reminded me of these words from the prophet Daniel in a combox comment below. I will admit that once, when I was particularly upset by a particular decision of a particular authority, I was tempted simply to copy these words onto a blank sheet of paper and send it as an anonymous letter – and to leave it to him to figure out what on earth it meant. I enjoyed the thought of his final discovery of the meaning after going to all the trouble of finding a Hebrew scholar to tell him what the words were. In any case, the writing could indeed be on the wall for this government if it continues to ignore what even today’s editorial in The Age acknowledges to be “the deep divisions in the community” over the issue of abortion. It is not necessary to coerce conscience in this way in order to decriminalise abortion. Indeed, such coercion may make the goal harder to achieve, because of the deep divisions in the community over abortion. Some argue that to remove the clause from the bill would deny the right of patients to full information, but information about pregnancy termination services is already widely available, and its availability will not diminish when abortion is decriminalised. What would diminish, though, is the respect in which the rights of conscience have hitherto been held — a respect that is an integral part of a flourishing liberal democracy. It does surprise me, however, that this editorial can speak about “achieving the goal” of legalised abortion while at the same time recognising “the deep divisions in the community”. Make no mistake about it, folks, democracy (meaning outright and simple majority) is being used to push through the views of one group of people one side of this “deep division” at the expense of another group of people on the other side. There is no consensus in our community on this issue. According to Mr Hulls, this section “doesn’t mean you refer (the patient) to someone who will perform an abortion. You refer (her) to someone who doesn’t have the ethical dilemma that doctor has.” …The Attorney-General apparently maintains that the bill will not effectively change the legal obligations of doctors. A plain reading of the bill, however, does not support that interpretation. On the contrary, the concerns raised by the archbishop, the CEOs of Victoria’s 15 Catholic hospitals and the Victorian president of the Australian Medical Association, Dr Douglas Travis, appear to be well founded. The view that a foetus is a human being from conception is very new in Catholic history. It was not until the late 1800s that the Catholic Church adopted the belief that the embryo acquires a soul at conception. There was no previous general consensus on abortion. Many of the church fathers, such as St Augustine and St Jerome, believed that the soul could not enter the body of an unformed foetus, so abortion was not considered wrong until “ensoulment” occurred. Catholic lay opinion or “individual Catholic conscience” also differs markedly from the relatively recent position of the church hierarchy. We need not comment further on that. The decriminalisation of abortion, while disturbing to many people for many reasons, is at least consistent with secularity. But Victoria’s latest abortion bill would go beyond that; it would compel Catholic doctors – and any other doctors who accept the personhood of the foetus as an article of faith [my emphasis]– to act against their consciences. This seems to be exactly the point that Perry et aliter have been arguing in recent comments: that the issue is not the humanity of the foetus, but the “personhood”, and that the moral objection is to the killing of a “person” not a human being. Now this is a very pernicious turn of the cards, if I may say so. As countless US Bishops pointed out to Senator Biden, the fact that the foetus is an individual human being from the time of conception is NOT “an article of faith”, but a scientific fact. But of course, if we change the issue to whether that “clump of cells” (with their own individual human gene code) is a “person” or not, then we come down to something which is not even “an article of faith”, but a mere “article of opinion”, based not upon reason or objective reality but mere preference for how one personally desires to define “personhood”. For the record, the Church does not have a dogmatic “article of faith” about “personhood” (except in relation to the persons of the Holy Trinity, of course). As far as I know, the Church does not even have an “opinion” on the matter. What it recognises (and this on the basis of the best science available to us today) is that from conception the foetus is A HUMAN BEING. This is not something for your conscience to choose. It is a fact. Now the Church has always held (in fact, universal human society has always held) that it is wrong to kill another HUMAN BEING. What we are seeing today is a uniquely post-modern take on the fifth commandment, reinterpreting it to say “Thou shalt not kill a person”, where every individual gets to determine for him or herself what a “person” is. Once we accept this line of reasoning, we are not far away from defining other extra-utero human beings as non-persons and removing their legal right to life as well. Should Catholic hospitals be forced to comply with the new abortion laws? I would say that was a fairly clear indication of division in the community, wouldn’t you? Cathy and David at the Movies: "Wall-E"
Cathy: Earth was abandoned 700 years ago by the human race, leaving behind an army of robots to clean up the rubbish. Wall-E is the sole survivor, and over the centuries has developed a personality along with a deep sense of loneliness. David: And a very entertaining sense of curiosity. Cathy: For a movie that has practically no dialogue for the first 40 minutes, I was engaged from the moment the film began. David: That’s because it draws on the best traditions of visual comedy – it’s a little like watching a robotic Mr Bean. Cathy: No, not at all. Wall-E is a captivating and endearing character. Maddy says “extremely cute”! Along with Wall-E, I was delighted at the arrival of Eva – an exploratory probe from the human “ark”, and enchanted by the relationship that develops. As Mia said, it’s a love story “kids-style”, but one that adults can thoroughly enjoy as well. David: The name Eva is suggestive, of course. The abandoned earth is no garden of Eden, but there is a definite “bone of my bones” (or perhaps “cog of my cogs”) reaction on Wall-E’s part. Cathy: There are some truly magical and touching moments, such as the “space-dance” with Eva and a fire-extinguisher-propelled Wall-E.
David: And a lot of references to other films too. 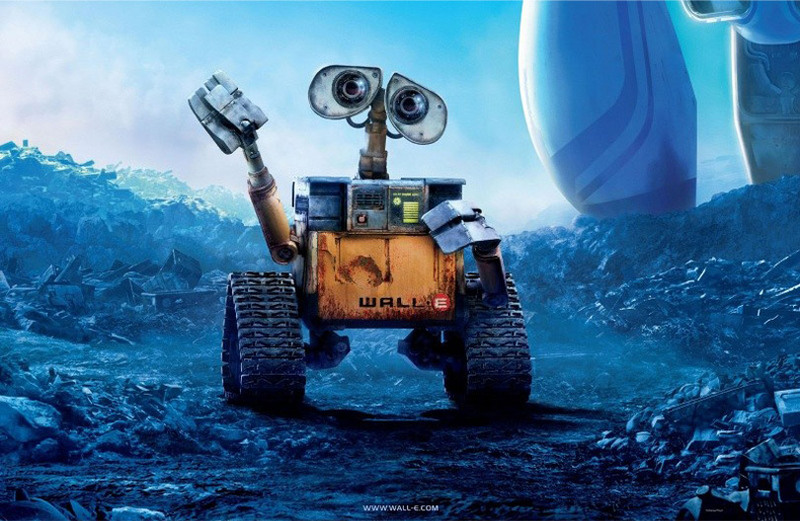 Wall-E is reminiscent of “Number Five” from the 1986 movie Short Circuit; his cockroach friend is reminder of Pinocchio’s Jiminy Cricket; and the ship-board computer (voiced by Sigourney Weaver) deliberately recalls “Hal” from 2001: A Space Odyssey. Cathy: Truly a movie that can be enjoyed by all ages. I loved it. I’m giving it four stars. David: Well, personally, I think this will end up on every shelf in every living room next to the Shrek DVD’s. Pixar has raised digital animation to a new level with this film. Am I allowed to give it FIVE stars, or is that exaggerating? Kairos, our local Archdiocesan rag, is running an article I wrote on the use of “Yahweh” for the name of God in the liturgy. Where did I get the wrong impression? The Brumby Government’s Bill decriminalising abortion controversially allows it to be performed at up to 24 weeks’ gestation. The fact is, as Archbishop Denis Hart’s letter points out, if passed, the legislation would mean that abortion would be easily and legally available in Victoria UP TO THE POINT OF BIRTH ITSELF! Here are the relevant sections of the Abortion Law Reform Bill. (b) has consulted at least one other registered medical practitioner who also reasonably believes that the abortion is appropriate in all the circumstances.